It is my sad and unfortunate duty today to inform you of the passing of Jarrod Hassel, known to us as Jazza. Jazza has been a member of UCIP since 2001, having served on several different SIMs over the years, and various staff roles. He CO’d Starbase Versailles for a short period of time, but he’s most known for his dedication to UCIP via his staff commitments. 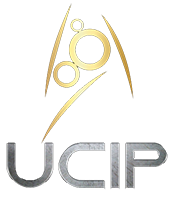 Jazza held various SIM supervisor roles during some of UCIP’s most turbulent times, always managing to keep the political turbulence away from the SIMs themselves, in the UFP Division and then when it became TrekOps in 2006. Jazza holds the distinction of being the longest serving CinC/President in UCIP history, having held the position no less than five times, all for the maximum term possible. He was our current President through a desire to make sure that there was an occupant of the office following Donald’s departure in 2013. Throughout the years, Jazza has been UCIP’s financial backer, as well as a solid member of the technical support group. He worked to bring about the new UCIP server move, the new UCIP website, created and managed the new listservs and helped bring UCIP out of the 90’s and into the 21st century. Although some of his efforts have been questionable, he has always had the best of UCIP in mind. As Co-Owner of the KDFS Network, he’s helped to keep our IRC presence up and running, and to keep the spammers off the network. For several years now, Jazza has been battling cancer. He recently recovered from a serious battle with an aggressive tumour on his liver, during which time he was on a wide array of medication and Chemotherapy. These medications would leave him exhausted, drained, and often feeling worse than if he wasn’t on them. Through it all, he never wavered in his dedication to UCIP and KDFS, and even though his online activity became sporadic at best, he kept trying through it all. He had the tumour removed last year, and was given the all clear – but earlier this year, his doctors informed him that what they thought was scar tissue, was in fact a malignant tumour. Jazza has been on intense medication for the last few weeks, and it is believed that he passed away in his sleep sometime between Sunday night and Monday morning. Our thoughts and our prayers are with his family and friends at this difficult time, as well as his cat Zac, who was Jazza’s whole world. For our parts, both Frankie and I knew Jazza personally for many years. He was my husband’s best man at our wedding, and even made the joke that as President of UCIP as he was at that time, he was giving his official approval for two UCIP members to marry. He was a bright light in our lives, and his passing will have a tremendous affect on both my own and Frankie’s life. His kindness, his generosity, and his friendship were some of the things that kept both of us going through the darker times in our lives. I am truly going to miss my friend Jarrod. Under the terms of the UCIP Constitution, should the President of UCIP vacate the office for any reason, then the Vice-President shall assume the office of President for the duration of the President’s elected term. As Vice-President designate, I shall step up to assume the Presidency in Jazza’s name. I owe it to Jazza to continue his term, and to try the best I can. I know that things will be difficult, but Jazza had faith in me, and I will try to live up to his expectations. For his dedication to UCIP over the years, my first act as President will be to posthumously grant Jazza life member status, and to dedicate the 20thAnniversary of UCIP to Jazza’s memory. The entire event was something that Jazza was proud to be part of, and was one of the things he truly enjoyed doing. Although not all of the events that he had planned for this year will now come to pass, we will carry on his wishes in his honour. Arrangements for Jarrod’s funeral are still being made, but that if anyone should wish to send a card of condolence or a tribute of some kind, they can do so through myself. Please contact me if that is your wish, and I’ll pass it on to Jarrod’s family. At the request of Jazza’s family, can all UCIP members please refrain from posting anything related to his passing on social media. This is due to the fact that there may be family/relations/friends who have not yet been informed by the family, and this is not the kind of news that people like to learn off of Facebook or Twitter. UCIP welcomes back the USS Enterprise!